His current academic work and publications pertain to faculty development, effective instructional strategies, and student learning. His most recent publications include Teaching for Learning (book co-authored with Claire Major and Michael Harris; Routledge, 2015); Developing a SOTL-Based Course (chapter in Using SoTL to Enhance your Academic Position: American Psychological Society: 2015); The New Science of Learning (book co-authored with Terry Doyle; Stylus; 2013); Developing Learning in Faculty: Seeking Expert Assistance from Colleagues (chapter in New Directions in Higher Education; 2014); Essential Skills in Building and Sustaining a Faculty Development Center: Budget and Staff (Journal on Centers for Teaching and Learning; 2013); and Scholarly Teaching: Suggestions for a Road More Traveled (International Journal for the Scholarship of Teaching and Learning (2013). 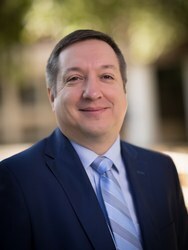 He also co-edited a special volume of the Journal of Excellence on College Teaching, “Teaching for Brain-Based Learning.” Todd has been a visiting professor and delivered keynote addresses at over 200 campuses and teaching conferences. Todd earned a B.S in Psychology from Lake Superior State University and a MS & PhD from Ohio University in Industrial/Organizational Psychology. He has been at UNC since 2008.